People often ask questions like ‘Why do I have to pray?’ or ‘Why do I have to wear hijab, can’t I just dress modestly?’ Even those who do obey the obligations of being a Muslim don’t always do them by heart, because we have the attitude of taking obligations as burdens upon us, something that we have to do in order to avoid the Hellfire. But in fact, the things which Allah the Exalted has made mandatory upon us are special gifts, and once we realize that, obeying them becomes so much easier. Why does Allah ask us to pray, to fast, to avoid backbiting, to avoid alcohol, to wear hijab? What does Allah gain by these things which He has imposed on us? Some of you might be scandalized by such questions, and yet there are those among us who have these questions and doubts deep inside their minds, which they refuse to admit even to themselves. But it’s not healthy to avoid such questions, rather we should confront them and silence them with answers. Whenever we do an act of worship, no matter what it is, we are not benefiting Allah, the Exalted, even the slightest bit. We’re benefiting ourselves, even though we don’t often realize it. 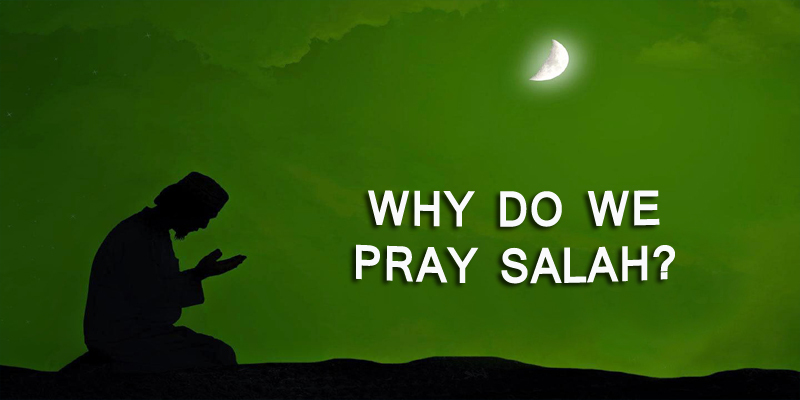 WHAT BENEFIT DOES SALAH BRING FOR US? These are just a few of the obvious benefits of prayer. Allah al Hakim’s wisdom is far far above anything we can fathom. If we trust Allah, then we’ll know for sure that whatever Allah has told us to do is for our own benefit, and if we can build that kind of trust, then worship will become easy.People often ask questions like ‘Why do I have to pray?’ or ‘Why do I have to wear hijab, can’t I just dress modestly?’ Even those who do obey the obligations of being a Muslim don’t always do them by heart, because we have the attitude of taking obligations as burdens upon us, something that we have to do in order to avoid the Hellfire. But in fact, the things which Allah the Exalted has made mandatory upon us are special gifts, and once we realize that, obeying them becomes so much easier. These are just a few of the obvious benefits of prayer. Allah al Hakim’s wisdom is far far above anything we can fathom. If we trust Allah, then we’ll know for sure that whatever Allah has told us to do is for our own benefit, and if we can build that kind of trust, then worship will become easy.